The Student Ambassador Executive Board is an enthusiastic group of 10-12 students whose serve as the leadership team for the Student Ambassadors. 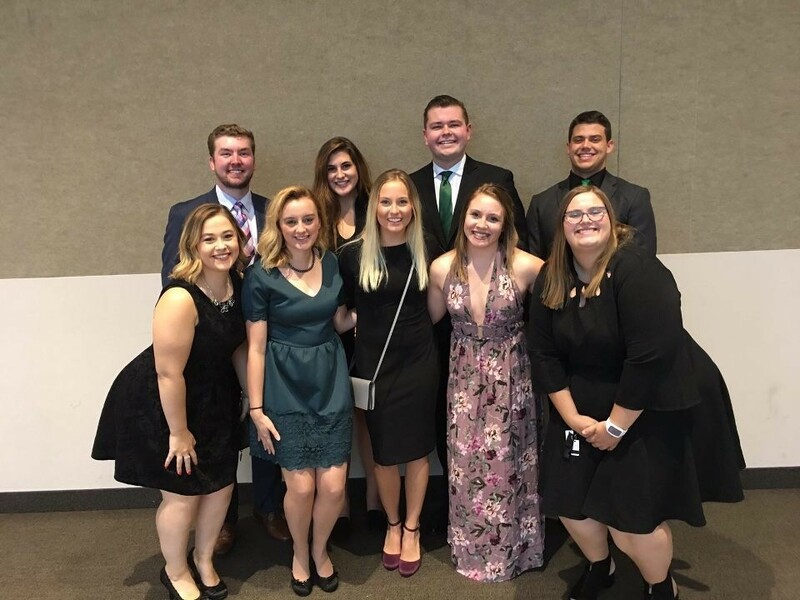 The Executive Board holds a great sense of pride and tradition in the University as their primary purpose is to promote UND, along with building strong student & alumni relationships, through a variety of University and Alumni Association & Foundation activities. The Executive Board is responsible for planning, marketing, and volunteering for various events throughout the year such as Welcome Weekend, Homecoming, Parent’s Weekend, open houses and other campus receptions.